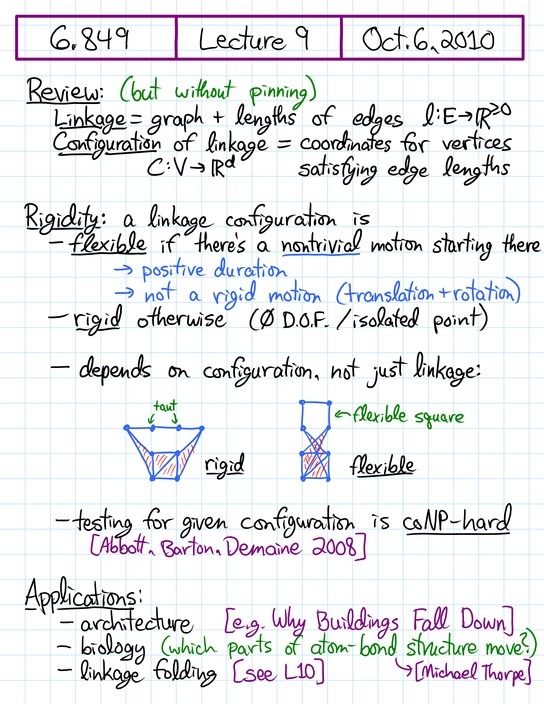 [+] Rigidity theory: Rigidity, generic rigidity, minimal generic rigidity, Henneberg characterization, Laman characterization, polynomial-time algorithm, convex polyhedra. 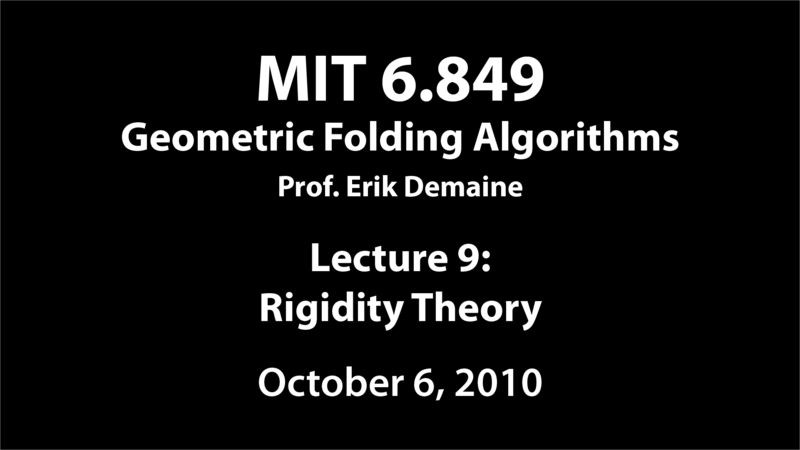 This lecture is about rigidity theory, which is about telling when a linkage can fold at all. This field goes back to mechanical engineering of the 18th and 19th centuries, with applications to structural engineering and architecture (getting buildings and bridges to stand up), biology (understanding which parts of a protein still move after folding up), and linkage folding itself (beyond just “does it move at all?”, as we'll see in the next lecture). 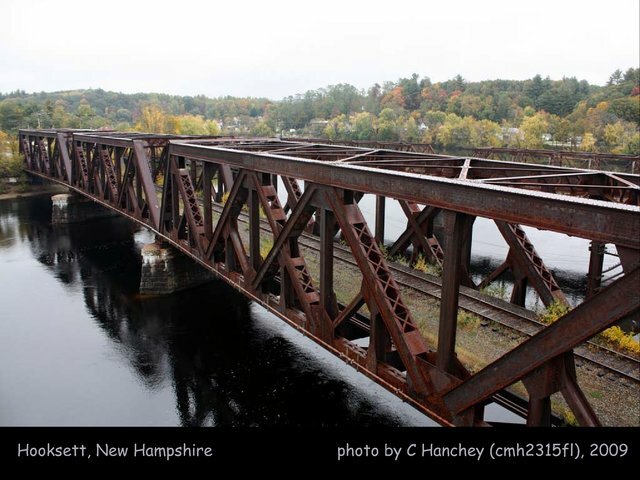 We'll cover two main theorems characterizing “generically” rigid graphs in 2D. Henneberg's Theorem, from 1911, gives a nice and direct characterization, but it's hard to turn into an algorithm. Laman's Theorem, from 1970, is intuitively harder to work with, but turns into a fast (quadratic-time) algorithm. Unfortunately, this is all just for 2D, and we don't know any good characterizations for generic rigidity in 3D. I'll briefly describe some nice theorems about the rigidity of convex polyhedra in 3D, though, which in particular explain why Buckminster Fuller's geodesic domes stand up. http://​www.flickr.com/​photos/​21953562@N07/​4050394485/​ Licensed under Creative Commons Attribution-NonCommercial 2.0 license.